Every Saturday from May 4 through October 26. Rain or shine from 8:30 am - 12 noon. 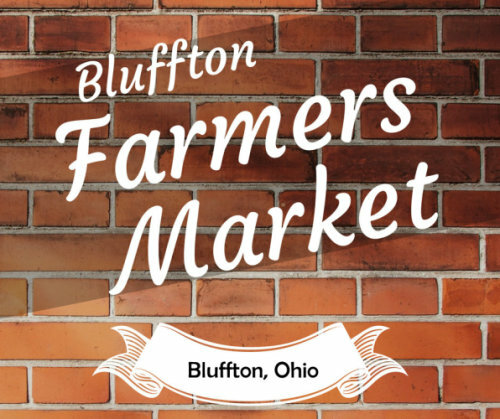 Located in Citizens National Bank parking lot on South Main Street between the Bluffton Post Office and the bank. Fresh, high quality fruits, vegetables, herbs, cut flowers, bedding plants, potted plants, and other agricultural products will be sold by vendors.